Is this the man who should be in Number 11 ? The economic and political narrative has changed markedly for the government since the budget, andÂ deteriorated furtherÂ when it was officially declared that we were in a double dip recession. Some 72 per cent of the public agree that it is time for the Coalition to change its policy so it is focused more on promoting growth and less on cuts,Â Significantly, a majority of Â people who voted Conservative (64 per cent) at the 2010 general election want to see a change of course. It would appear the current Chancellor’s authority inside the cabinet is also waning, a recent Daily Mail article had this observation. One thing Ken Clarke doesn’t lack, is self confidence, as a former Chancellor, he knows the Treasury, and crucially is seen as a successful Chancellor. 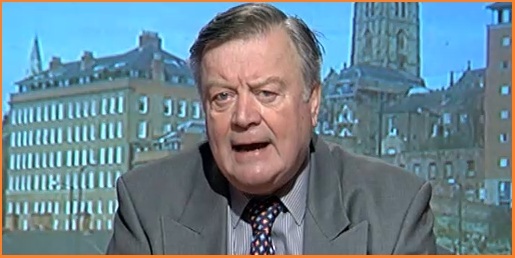 Ken Clarke can cite that the polling back in Â April 1997 as the country was about elect Tony Blair with a landslide, the polling showed that the countryÂ preferredÂ him in Number 11, as opposed to Gordon Brown. He could effectively deal with Ed Balls and the media, as the current Chancellor is obtaining the same Macavity moniker Gordon Brown had. He can point out both he and Ed Balls attended the same school which may negate the out of touch perception the current Chancellor has. The changes are from the last ComRes telephone poll which was carried out in March. There is a large gender gap:Â 40 per cent of male voters will vote Conservative, 39 per cent Â Labour and 8 per cent Lib Dem. But only 29 per cent of women voters Â will vote Conservative, while 45 per cent Â will vote Labour, and 14 per cent Lib Dem. Seven out of 10 people want the Government to do a U-turn on the economy to give priority to growth rather than spending cuts. Some 72 per cent of the public agree that it is time for the Coalition to change its policy so it is focused more on promoting growth and less on cuts, while 17 per cent disagree and 11 per cent donâ€™t know. Significantly, a majority of Â people who voted Conservative (64 per cent) and Liberal Democrat (68 per cent) at the 2010 general election want to see a change of course. So do 86 per cent of people who voted Labour. IG have put up a couple of markets in the past week regarding Greece. The bets can be located in their binary betting market section. 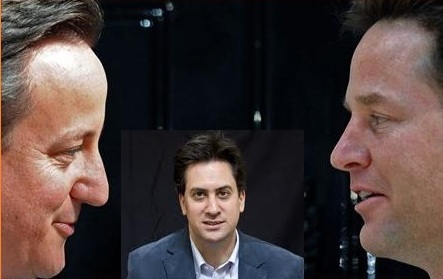 How does the coalition untangle itself before the election? 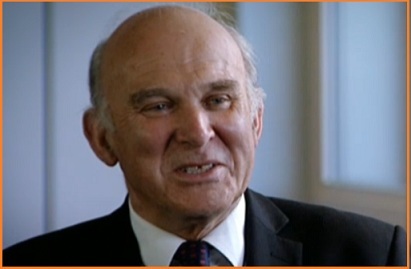 It seems very unlikely that the coalition parties will have an electoral pact/coupon at the next general election, so Vince Cable’s commentsÂ on the BBC last night confirm that (if confirmation was needed). So how do they untangle themselves before the election? Do they move to a supply and confidence approach from late 2014, or something else? Is there a solution that would benefit and suit both coalition parties? Ed retains his YouGov leadership lead for a third week. The coverage of Cameron “chillaxing” doesn’t seem to have done any particular damage – only 33% say that he doesn’t work hard enough, compared to 39% who think he gets the balance right and 4% who think he works too hard. Tonight is that great annual event, The Eurovision song contest. It will be interesting to see if the issues in the Eurozone affects voting tonight. I’m not expecting the Germans to give the Greeks zwÃ¶lf punkteÂ or the Greeks to give the Germans Î´ÏŽÎ´ÎµÎºÎ± ÏƒÎ·Î¼ÎµÎ¯Î±, but will the rest of Europe give the Greeks a sympathy vote? I’m not expecting Engelbert to win either, I’ll be happy if he doesn’t finish bottom, my money is on Serbia, Russia and Greece. I’m not expecting any polls other than YouGov tonight, if this changes, this post will be updated. Should you be betting on PRESIDENT Romney? Could we see the prices converge? At the start of May I suggested that a bet on Romney for president looked like a value proposition. At the time his Betfair price was 3.15 and I put the equivalent of three months of my state pension on it. Since then the price has edged in and is now at 2.7 – that’s 1.7/1 for those who have yet to come to terms with the betting exchange’s odds format. I think this is going to move in further. All the polling suggests a very tight race and the GOP nominee and his supporting organisations will probably have a lot more to spend. Mitt is where he is today after utilising brutal negative TV ads against his Republican opponents. He’ll do the same and much more with Obama. This is going to be a bloody battle to end all bloody battles. Both contenders should be close to evens. Romney isn’t and he’s the value bet.